In 2015 Host Group was named one of the best Residential Real Estate Education Providers and Commercial Real Estate Education Providers by Banker & Tradesman. The school boasts one of the highest pass rates in the Commonwealth, and offers a popular lifetime audit policy for all of its students. 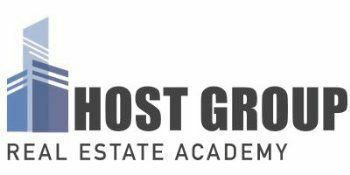 Host Group continues to partner with local corporations to offer private training sessions for their employees, and its instructors are active professionals in the real estate and mortgage industries. Dee Kumar is the head instructor for Host Group Real Estate Academy and has taught mortgage pre-licensing courses and real estate pre-licensing and continuing education courses to thousands of students for over 20 years. He has over 19 years of experience in the real estate industry in roles including mortgage processor, underwriter, lecturer, real estate broker, investor, sales coach, property manager, author, and business consultant to many real estate and mortgage companies. An avid writer, Dee has authored many articles about the Mortgage Industry. He is currently developing software technologies for several Mortgage and Finance Applications and Fraud Detect Predictive Analytics, and is working on two books one for Mortgage Processors and Originators and one all about Mortgage Fraud. An extensive background in the entertainment and hospitality industries cements Dee as a highly knowledgeable and captivating instructor.